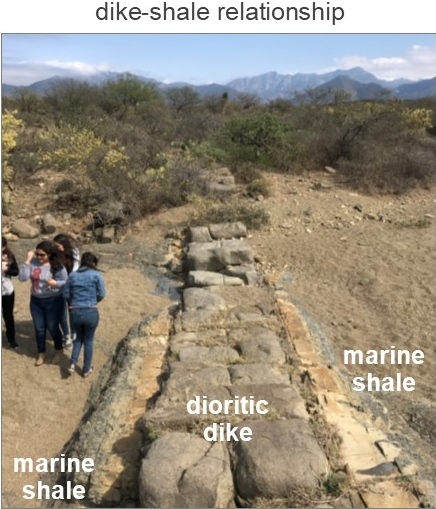 Diorite dikes of Oligocene age intrude Late Cretaceous deep marine shales in the Sierra de San Carlos-Cruillas, Tamaulipas, Mexico. The surficial extent of these geologic contacts is well-known throughout the area, but their subsurface occurrence is poorly constrained. 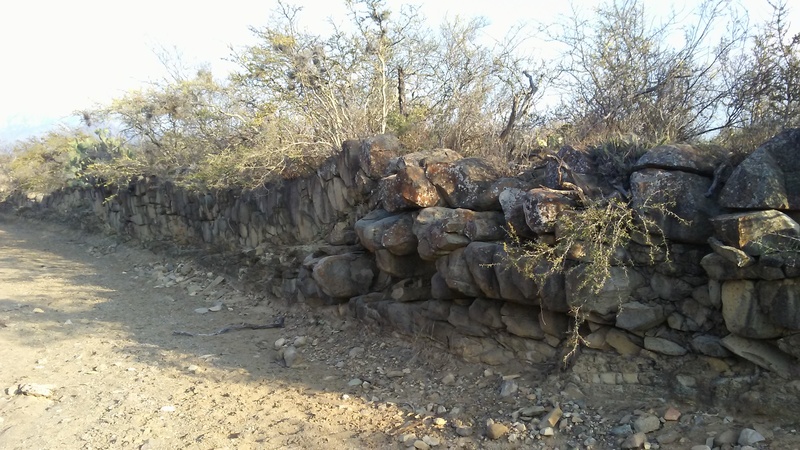 A true-3D electrical resistivity imaging (ERI) was utilized at an outcrop with well-know crosscutting relationships in the Sierra de San Carlos-Cruillas, Tamaulipas to image the subsurface extent of this intrusive contact and to map any potentially buried diorite sills. To map sharply changing geology and soil types with unknown depth and orientation below ground in rugged terrain with direct application to geotechnical, water exploration, environmental and mineral exploration projects. 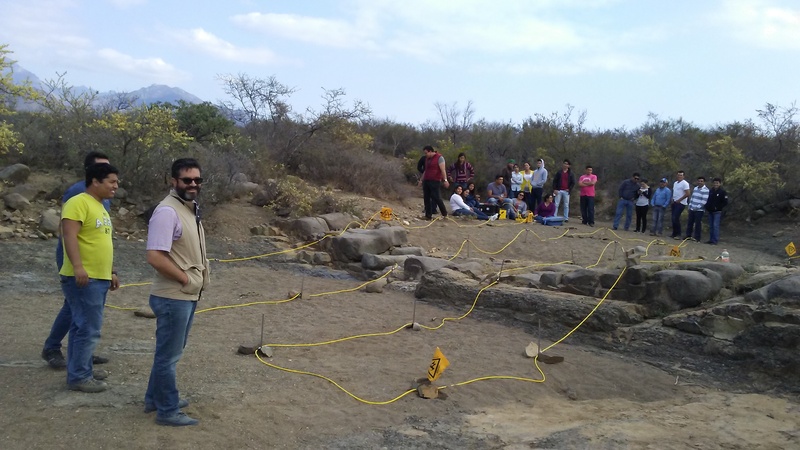 The Faculty of Earth Sciences at the Autonomous University of Nuevo Leon, Mexico used the SuperSting™ R8 WiFi with a 28 R8 SwitchBox and 28 electrodes spaced at 2 meters and an in-line spacing of 2 meters. The true-3D Dipole-Gradient array generated by EarthImager™ 3D was used to collect true-3D ERI data over the intrusive contact between the exposed dike and shale. The surface conditions of the site vary from loose soil and fractured, hard rock and yield highly variable contact resistance. A small amount of water was poured around the stainless steel electrode stakes to lower the contact resistance to optimal levels. 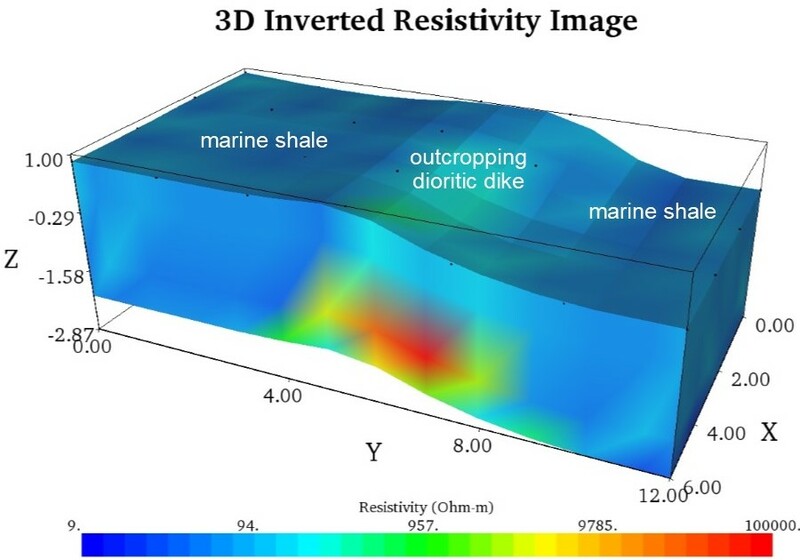 The true-3D ERI survey successfully imaged the exposed intrusive contact between the diorite dike and the marine shale, including the occurrence of shallowly buried diorite sills. 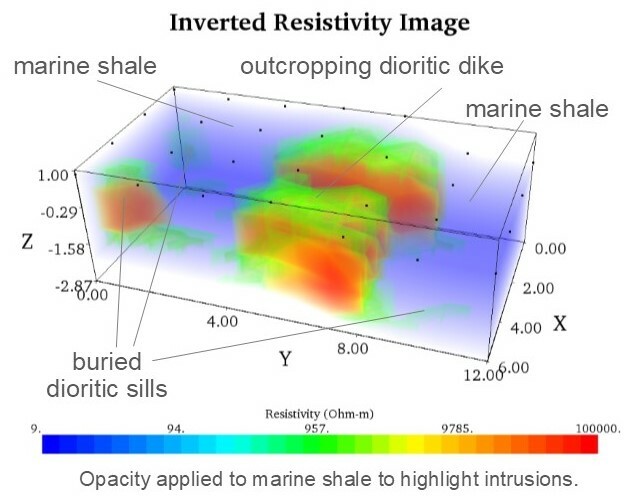 The marine shale and diorite intrusions correspond to low (9-600 Ohm-m) and high resistivity (600-100,000 Ohm-m) values, respectively. 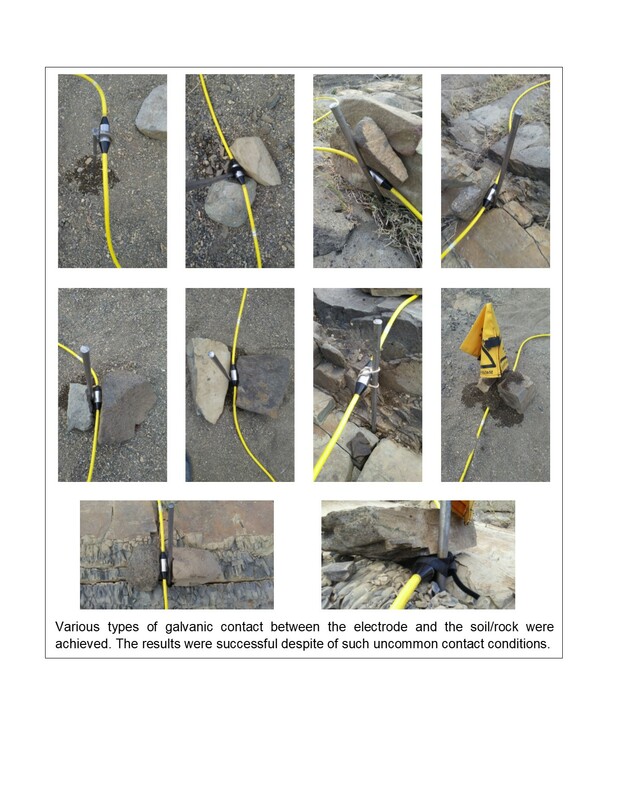 Particularly, the chilled margins of the dike and sills may be interpreted as high resistivities between 600 to 3000 Ohm-m. Higher resistivity anomalies ( > 3000 Ohm-m) are interpreted as coarse-grained and unweathered diorite bodies. Watch the video of this case history.